Nose is deelishius! Green apple, caramelized sugar, toffee, rum raisin, and sticky toffee pudding. How can you not like this? Taste is equally as delicious. Thick, rich, and smooth. Dark roast coffee, treacle, but not overbearingly sweet. Very creamy thanks to the nitro. Very, very slight hop tinge on the finish but overall it's a big, rich, chewy, malt beer. My favorite nitro can and one of my favorite beers. 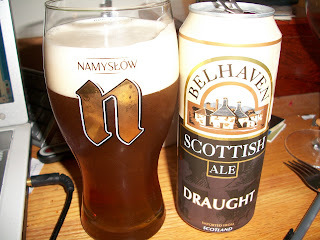 While not as good as real draft Scottish ale, this is like a warm blanket on a cold night for me. This is my comfort beer. This and a good piece of beef and ale pie...with a scotch and cigar to finish it off? There's not a happier man. With you all the way on this! 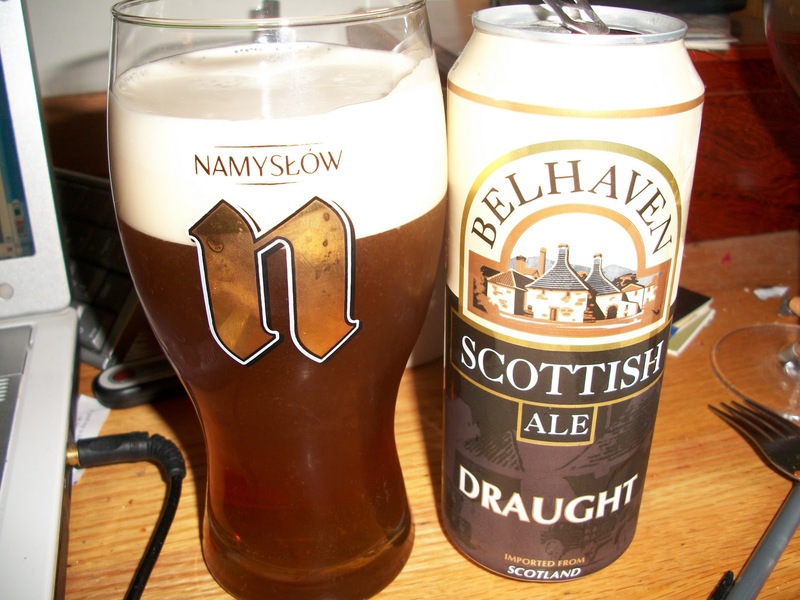 Belhaven is in my top five and stateside the draught flow cans are only way to go.